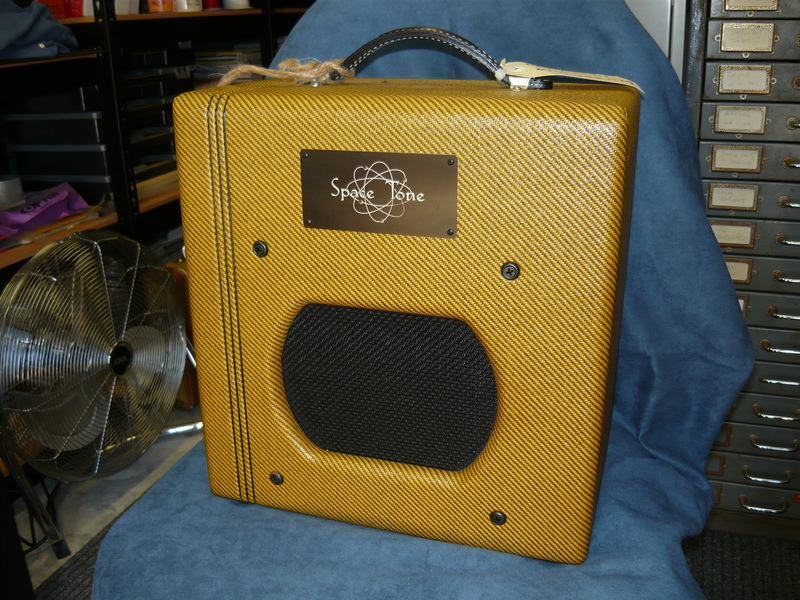 Yes, we are now providing service and repairs to products of the Swart Amplifier Company, USA. Like my own amps, and the Carr & Dr-Z amps that we already service, Swart amps are limited production, completely hand-wired, and “boutique” quality. 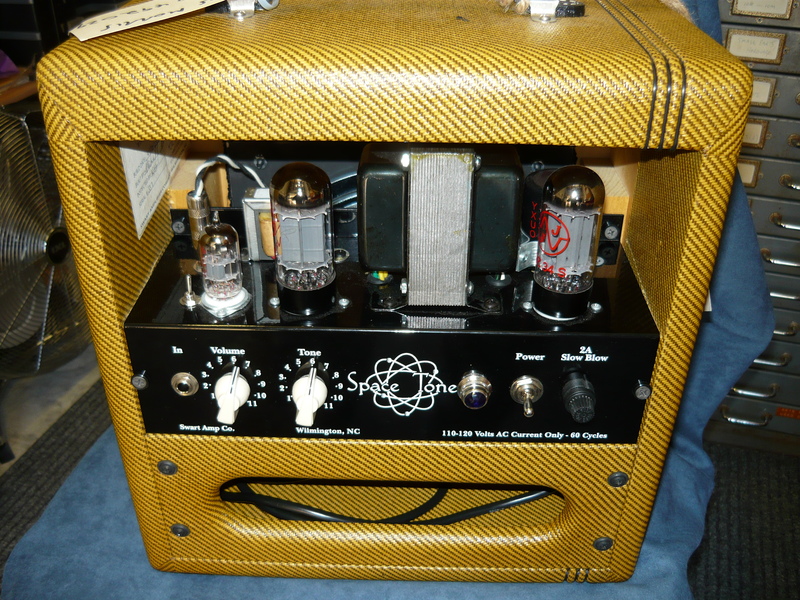 Pictured here is our very first repair job, a Swart “SpaceTone” amp. The 6V6 power output valve had gone internally short-circuit (S/C) and destroyed a component in the power supply, which created some smoke and a definite burning smell. I replaced this component with an uprated but electrically equivalent one and installed a new (tested) 6V6 valve. After a power output test, burn-in test, electrical safety test and final play test the amp is ready to hand back to the customer. Swart amps are the brainchild of Michael Swart, and are obviously inspired by certain small amps from the 50’s/”tweed” era including various Supro, Champ, Princeton & Gibson models, primarily “single-ended” designs employing the 6V6 power output valve (tube). This type of low-powered and extremely lightweight/compact amp is obviously gaining in popularity, now that many guitarists are playing primarily at home and/or with friends rather than at gigs. Personally I much prefer the dynamics and full-bodied tone of a larger and more powerful (push-pull) output amp and cab, and that is exactly the type of amp that I design and build – however I can state here that the quality of the build and wiring in these amps is excellent – far superior to the originals that inspired Michael Swart. I look forward to working on more of the Swart amp models. This entry was posted on May 19, 2011 at 12:26 pm and is filed under Amp Repair. You can follow any responses to this entry through the RSS 2.0 feed. You can leave a response, or trackback from your own site. thanks ivan – great job on this little beauty!